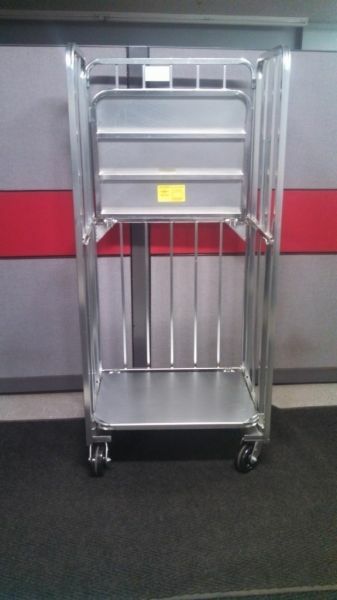 2 Shelf folding dairy cart, this popular size cart ( 30.5" w X 26" d X 68" H) comes with a rust resistive zinc plated finish, all swivel 5"x 2" phenolic casters that are low temp lubed. Solid sheet metal constructed shelves increases the lifespan of the cart. These carts work great in the dairy, manufacturing, retail, snack food and many other industries.